Details of STEM World School, Barrackpore Nursery, KG & Class-1 admission. How to apply for admission in STEM World School, Barrackpore in Nursery, KG & Class-1. Online Application form download process for Nursery, KG & Class-1 admission in STEM World School, Barrackpore. Application form collection & submission dates for Admission in Nursery, KG & Class-1 at STEM World School, Barrackpore. Minimum eligibility criteria & qualification requirement of admission in Nursery, KG & Class-1 at STEM World School, Barrackpore. Nursery, KG & Class-1 admission notice at STEM World School, Barrackpore. School for Total Enrichment of Mind, STEM World School, Barrackpore, invites applications from for admission in Play Group, Nursery, KG & Class-1. Let’s check out why STEM World School, features & advantages of STEM World School and where to contact for admission at STEM World School, Barrackpore. • Admission at STEM World School, Barrackpore is going on in Play Group, Lower Nursery Class, Upper Nursery Class, KG Class and Class I. STEM World School, Barrackpore (Kolkata) offers a new way of learning by introducing USA Education Methodology in India. Spacious AC Classroom along with exclusive Lab will help children to grow in right direction. Large Playground, Indoor Games & Sports, SWS Clubs and Extracurricular activities are available at STEM World School of Barrackpore (Kolkata). 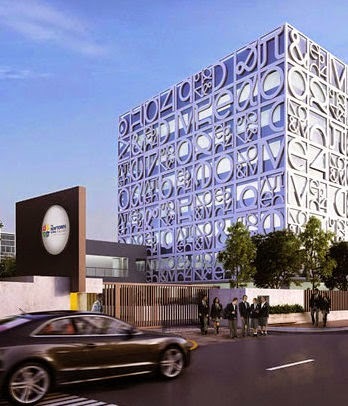 Computer Lab, SMART Classes and State-of-the-art Library are there at School for Total Enrichment of Mind (STEM) World School, Barrackpore (Kolkata). Infirmary and Cafeteria is there inside. Bus Service available for pick & drop. Extremely well located, just 10 minutes from Barrackpore Station and 3 minutes from Barrackpore Wireless Gate. • STEM World School, Barrackpore campus Address: - Near Barrackpore Wireless Gate, on Kalyani Expressway, Barrackpore, Kolkata-121. • Phone contact number of STEM World School, Barrackpore: - Please call with your Admission related queries only at 90072-00999 / 033-4008-3721 / 033-6888-8716. 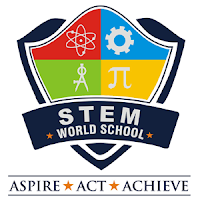 • Admission Procedure at STEM World School, Barrackpore: - Please visit official website of STEM World School, Barrackpore i.e., www.stemworldschool.com for more details on admission, fee structure etc. You can also email your queries to info@stemworldschool.com as well. The Newtown School of New Town (Kolkata), CBSE board English medium world class school, has starts its first session on & from April 2015. Parents looking for good English medium schools in Kolkata with all advanced activities have one more choice after establishment of The Newtown School in Kolkata. The Newtown School is located at New Town area which is very near to Salt Lake Sector-V and Rajarhat area. Let’s check out few details of The Newtown School now. Sri J.C. Chaudhry, Chairman & Managing Director of Aakash Educational Services Private Limited, New Delhi, inaugurated The Newtown School of Kolkata on 10th April 2015 in the presence of Mr. Debashish Sen, Chairman & Managing Director, HIDCO. The Newtown School, Kolkata is affiliated to CBSE board and it's a Co-educational English medium school. The Newtown School of Kolkata is the first IGBC (Indian Green Building Council) certified school in India. Separate Pre-Primary section is there at The Newtown School, Kolkata. World class Classroom block, Admin block, Middle school classrooms, Junior resource centre, Senior resource centre, Art rooms, iMac Lab, Robotics Lab, English Lab etc. are there for the students of The Newtown School, Kolkata. The Newtown School of Kolkata school timings as follows: Nursery to Class-II timing 8am to 12:30pm and Class-III to Class-VII school timing 8am to 2:30pm (Monday to Friday) [1st & 3rd Saturdays of the month 8am to 12:30pm]. The Newtown School of Kolkata does provide several activities for the growth of mind excellence and physical fitness inside the campus. School Bus service for pick & drop of all students is provided by The Newtown School of Rajarhat, Kolkata. Campus Address / Location of The Newtown School, Kolkata: - Premises # 01-0279, Plot # DD 257, Action Area 1, New Town, Kolkata-156. Phone contact numbers of The Newtown School of Kolkata: - 033-6645-4400 / 85840-36704 / 85840-36709. Kolkata’s The Newtown School Admissions for Nursery to Class-VII open for this session. The Newtown School admission application form along with prospectus is available at The Newtown School office and selected Axis Bank branches in Kolkata on payment of Rs.500/- in cash. You may also download Admission Application Form online from www.thenewtownschool.org, official website of The Newtown School, Kolkata as well. The Newtown School is situated in New Town area of East Kolkata and quite easily accessible from major parts of Kolkata. The Newtown School of Kolkata is only 2-10 minutes drive from Salt Lake, Rajarhat and only 15-20 minutes drive from Dumdum Airport, EM Bypass area, Baguiati, Tegharia, Kaikhali, Haldiram, Kestopur, VIP Road and Ultadanga area. Remember, The Newtown School has their own school bus service for students of all parts in Kolkata. For further details of The Newtown School of Kolkata and admission related queries please email at info@ntskolkata.org or simply visit www.thenewtownschool.org website.